Islands, making up just 3 percent of Earth's landmass, harbor more than half of its endangered species. These fragile ecosystems, home to unique species that evolved in peaceful isolation, have been catastrophically disrupted by mainland predators-rats, cats, goats, and pigs ferried by humans to islands around the globe. To save these endangered islanders, academic ecologists have teamed up with professional hunters and semiretired poachers in a radical act of conservation now bent on annihilating the invaders. Sharpshooters are sniping at goat herds from helicopters. Biological SWAT teams are blanketing mountainous isles with rat poison. 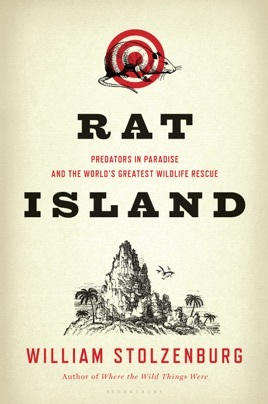 Rat Island reveals a little-known and much-debated side of today's conservation movement, founded on a cruel-to-be-kind philosophy. Stolzenburg (Where the Wild Things Were) tells the story of oceanic island animals who make up nearly half of all endangered species. These animals are being decimated by nonnative mainland species brought ashore by explorers: rats, rabbits, and goats.With local fauna imperiled and islands overrun, imported species are being dispatched by any means necessary, including poison, spring-loaded steel-jawed traps, hunting dogs, and guns. 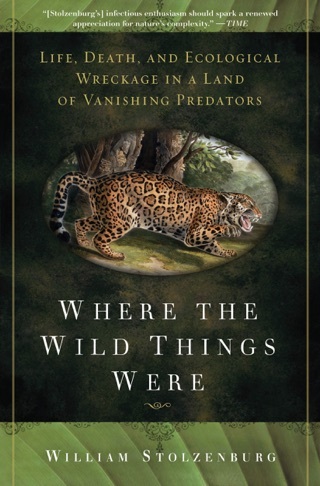 Stolzenburg brings a keen eye and thirst for adventure to the front lines of this controversial battle, examining the research and perspective of scientists, conservationists, PETA, and the Nature Conservancy. With the Earth in the middle of the "sixth mass extinction" as tens of thousands of species die out every year, this study brings important attention to a little known issue, and Stolzenburg probes the moral implications of saving one species by killing another with remarkable fair-mindedness and a temperance rare and needed in the passionate animal rights debate.